MUST SEE this huge Citrus Springs home on corner lot. Perfect for the large family. Formal living & dining rooms. Eat in kitchen that overlooks the family room. Large Master with his & her closets; dual sinks, garden tub, and walk in shower; sliders to lanai; Home features ceiling fans; skylights; double entry front door; A/C replaced 2015, laundry room, fruit trees. Seller offering $5K to update the flooring with what YOU want (with full price offer). 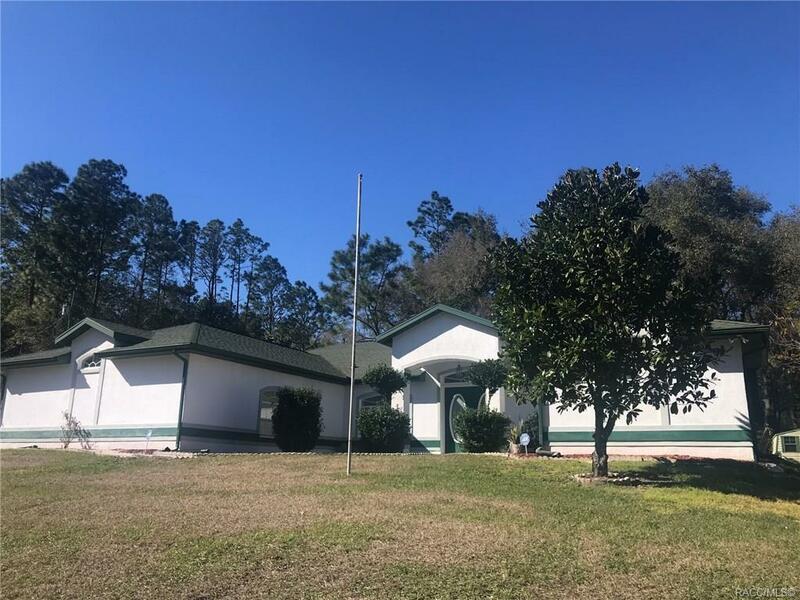 Citrus Springs community has it all with a park for the young ones, basketball/baseball, golf course and restaurant, rails to trails bike path, & lighted tennis courts...not to mention excellent schools! Directions: Florida Avenue (Hwy 41) West On W Country Club Blvd., Left On W Lorraine Dr., House Is In Left.